Only 2.5 miles to the surf of Dooega? 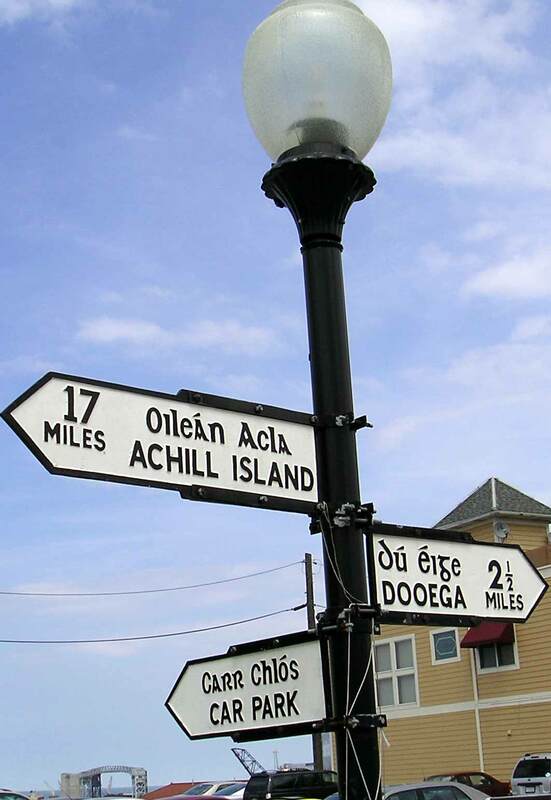 Only 17 miles to Achill Island? Where is this?